Indonesia has raised its volcano eruption alert to its highest level amid fears of an "imminent" explosion from Mount Agung. Authorities said rays of fire and magma are increasingly visible from night to day. 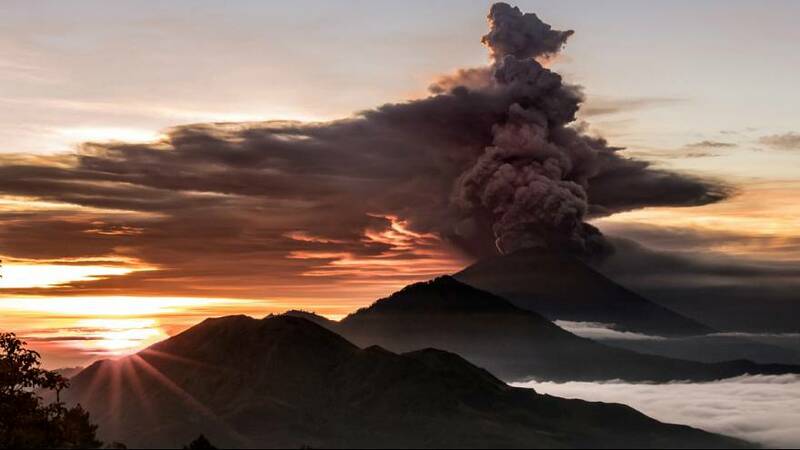 Continuing plumes of smoke are accompanied by blasts that can be heard up to 12 kilometres from Agung's peak. But the imminent threat also attracted scores of people who are eager to witness the potentially massive blast.